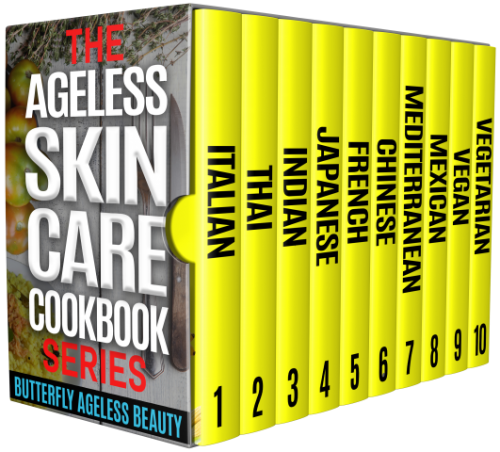 A new collection of ageless skin cookbooks has been launched by Butterfly Ageless Beauty. The books curate breakfast, lunch and dinner recipes and help people to look and feel their best. Butterfly Ageless Beauty has launched a new range of cookbooks with a focus on helping customers to improve their skin through nutritional eating. A wide range of cuisines is available, including Japanese, French, Thai, Vegan, Chinese, Mediterranean, Italian, Indian and Vegetarian books. Vegan food has become increasingly popular in recent years, with 600% more people identifying as vegans in the US in the last three years alone. With so much focus being placed on the importance of cutting out meat, it is only going to increase in the years to come. However one of the main issues people find with the vegan diet is that they struggle to reproduce many of the dishes they once loved. With the Flavorful Vegan Cook Book Skin Care Recipes For Youthful Skin book from Butterfly Ageless Beauty, customers get access to a wide range of easy and tasty recipes. The book offers a curation of vegan breakfasts, lunches, dinners and desserts all with a focus on promoting youthful skin. Research has shown there is a connection between eating well and vibrant, healthy looking skin, and the recipes in the book focus on helping customers to achieve the best results. Customers wanting other cuisines can get similar benefits from the range of other books in the healthy skin collection. Each book is designed to provide delicious and nutritious recipes that can also help people to look and feel younger.